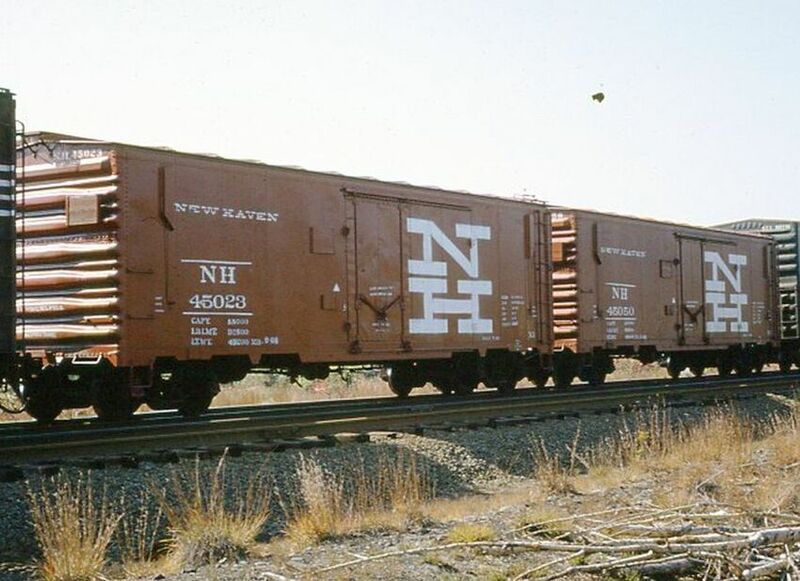 Two identical (except for the number) New Haven plug door box cars in a B&M train and coupled to each other. Couldn't resist. Photographed by Ron DeFilippo, 1968.